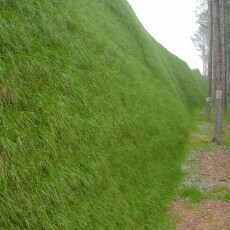 Maverick Solutions, LLC is one of the world’s leading experts in the “vegetated terra wall” industry. Our company’s focus is to implement environmentally sound solutions into the world’s marketplace, which are both superior in form and function while at the same time offering the most cost competitive and financially sound choice for successful project completion. Founded by Greg Palmer (CEO) and Rob Kool (CFO), Maverick Solutions, LLC has had more success implementing “vegetated terra walls” into the marketplace over the last two years than any other competitor in the industry today. Our experience and expertise in working with the USACE, NOAA, National Fish & Wildlife and a multitude of state, county and city governments has positioned Maverick Solutions, LLC as a leading authority and partner in the “environmental construction” industry. Whether you are a government municipality, commercial contractor, corporate entity or private homeowner, Maverick Solutions, LLC will work with you to achieve project success from the initial design phase all the way through to the completion of the project. Slopes – Structural, Over-Steepened, Roadways/Culverts, Erosion, Bluffs etc. Other – Military, Check Dams, Residential and Landfills. The “Gripper System” is a Fully Engineered, Cost Effective, Labor Reducing, Structurally Superior, Environmental Solution, which is stronger than concrete block, rock and traditional hardscapes. Any plant that will grow in the environment where the project is located will grow in the “Gripper System” bar none.